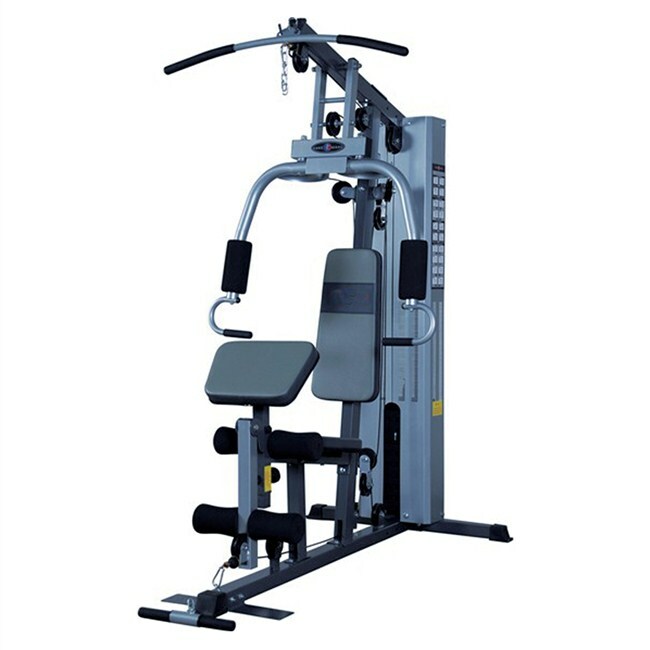 Buy Home Gym Machines Online, Online Fitness Equipment Store, Shop, India. VHOG-STYL Total Weight 110 Kg. Supports to Over 24 Exercises. When it comes to home gyms, space is a premium. So you look for quality equipment that offers the most exercise variety in the least amount of space. That's exactly what you get with Vinex Home Gym Machine - Stylus strength home equipment. This home gym machine combines quality and functionality in one compact fitness machine. This home gym offers you the opportunity to work all your muscle groups and will help you get the body you have always wanted! Home Gym made of Good Quality Steel Tube. Powder coated for extra durability. Machine Gross Weight: 51 Kg. Plates Weight (Stack Weight): 45.5 Kg. Total Package Weight: 110 Kg. Supports to Over 24 Exercises. Comes with Assembly Instruction Guide (Owner's Manual).